Ecosystems have a variety of benefits to humans, including food, water and other resources, as well as recreational space. It is therefore important that these systems remain functional and stable—especially in view of climate change and environmental pollution. Ecologists at the University of Zurich and the Swiss Federal Institute of Aquatic Science and Technology (Eawag) have now examined the factors that influence this stability in a unique and comprehensive experiment. The scientists specifically researched how biodiversity affects the stability of ecosystems. As model organisms, they used six species of ciliates—tiny protozoans that live in water. The researchers put varying numbers and combinations of these ciliates in sample vials, thereby creating miniature ecosystems that they then let thrive at temperatures between 15 and 25 degrees Celsius. The increased temperatures simulated a climatic change, as the ciliates used in the experiment previously lived at a temperature of 15 degrees Celsius. At first glance, the results of the experiment seem contradictory: High biodiversity simultaneously furthers and hinders the stability of an ecosystem. "Ecological stability is complex and consists of various components," says Frank Pennekamp, first author of the study. "The experiment shows how biodiversity affects the individual stability components in different ways." In other words, the more diverse the species community in the miniature ecosystems was, the less the biomass production fluctuated—regardless of temperature. 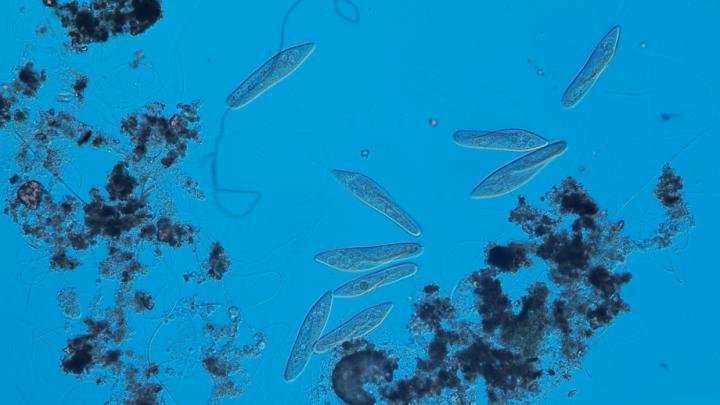 At higher temperatures, however, the researchers found that protozoans produced less biomass the more species were bustling about the system. Ecosystems have a variety of benefits to humans..."
Who writes this stuff --- extraterrestrials?